RM 3/c Sidney E. Hasenmyer, son of Mr. and Mrs. Murray Bryan, graduated from Grandfield High School; husband of the former Marvina Witt. 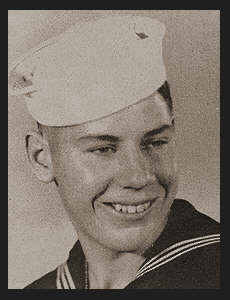 Entered the Navy in May, 1944, trained in San Diego, Cal. ; served in New Guinea, Morotai and Manus Is., where he is now on duty. Awarded Pres. Unit Citation, Asiatic Pacific Ribbon with one Battle Star.